Dr. Ranga Krishna serves as Dean of Rush Medical College. Dr. Krishnan most recently served for seven years as the dean at the Duke-NUS Graduate Medical School Singapore, and previously as the school’s executive vice dean. The medical school is a joint venture between Duke University in Durham, North Carolina, and the National University of Singapore and was established in 2005. During this time, Duke-NUS established an innovative learning program for medical students called Team Lead that has been widely recognized and adapted by other institutions. 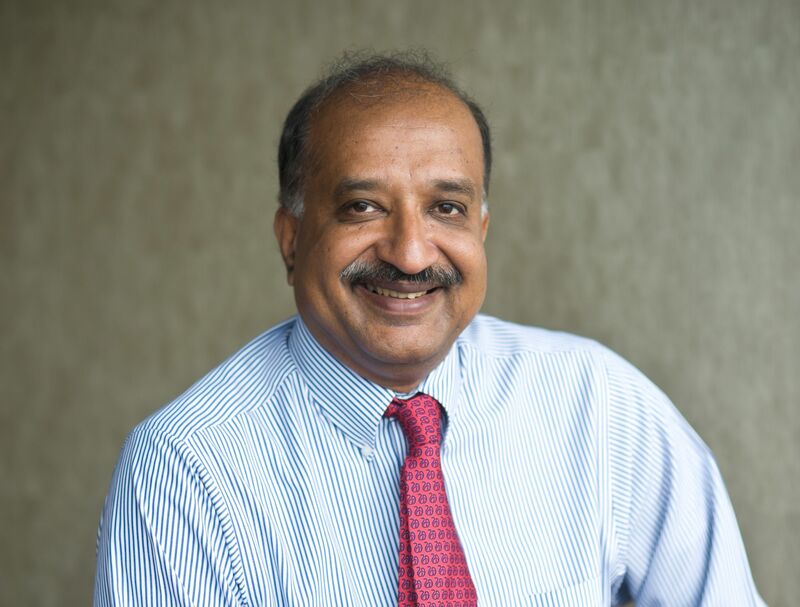 Prior to and during his tenure in Singapore, Krishnan was professor in the Department of Psychiatry and Behavioral Sciences at Duke University Medical Center. He was chairman of psychiatry at Duke from 1998 to 2009. The department included more than 490 faculty members who conducted more than 270 studies a year, with approximately $40 million of external research funding annually. How did you first become interested in medicine and psychiatry? How did you become interested in Medical education? I became interested in science at an early age in high school and just prior to medical school in India got a national merit award that further sparked my interest. At the pre-university level (in India at that time there was a requirement to attend a 1 year pre-university course before going to university) I was torn trying to decide between engineering chemistry and medicine. I chose medicine thinking that it gave me a chance to integrate many aspects of science and use it to improve health. Very early in medical school I was drawn towards the brain and neuroscience. I was fascinated with the how the brain works especially on how it is the center of making us who we are. Thus I joined psychiatry, completed a fellowship in neurobiology, and became a faculty at Duke. Can you share your background on how you got to where you are right now? What have been the biggest drivers in pushing your career to where it is now? I just completed my term as Dean and now head the funding effort for research in Singapore and hope to use what I have learnt to improve education globally both in Singapore and elsewhere. We also brought in ACGME and for the first time have residency programs outside the U.S. in Singapore. From your prospective, how does the medical education differ between the US and what you have seen in India? Medical education in Singapore and India follows the UK. Students enter medical school right after high school. Thus they were quiet young when they made the decision to enter medical school. I was 17. The basic structure is similar between medical schools across countries, usually two years of preclinical followed by clinical rotations. But the emphasis is more on seeing patients of different types to learn less on participating in clinical care. Examinations usually included live patient examinations and direct questioning by examiners. This segment is different from the U.S. in that there was less focus on patient standardization. What is it like serving as a chief resident? What does it take to be a good chief resident? It was a great experience moving to a leadership position a point where you learn how to bring people together to make things work. You learn very quickly that there is an art to do this and that it is very rewarding. I think if given a chance one should embrace this opportunity. Medicine and health care is evolving. As medical ex and knowledge expanded, the care of patents became and remains fragmented. Now the challenge is how to integrate thus care into a coordinated whole. And what should future doctors learn to prepare them to adapt for the changes that will continue to occur. I see this as a tremendous opportunity but a stressful transition. My own interest is to promote the use of the science of learning from schools to universities. Empowered and educated patients will be the right partners for health.